Anyone flying out of France with EasyJet on New Year's Day may have to rearrange their travel plans after the budget airline was forced to cancel dozens of flights due to industrial action by cabin crew. Here's a list of the 70 affected flights. The airline announced on Tuesday that it was cancelling 70 flights from and to various airports in France after two unions called on cabin crew to strike. In all, 24 flights due to depart from Charles de Gaulle airport in Paris have been scrapped, 14 from Orly airport to the south of the capital, 20 from Lyon, six from Nice, four from Toulouse and two from Lille. The strike will begin midnight on Wednesday and end at midnight on New Year's Day. The travel disruption is more bad news for easyJet passengers who faced similar problems on Boxing Day (December 26th) when 38 flights were cancelled because of industrial action. The workers are upset over frequent last-minute changes to their schedules and have demanded a larger share of the company's profits. EasyJet employs some 600 flight attendants among its roughly 1,000 workers in France. 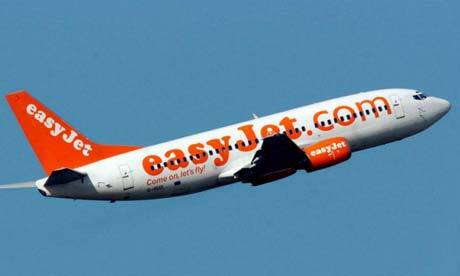 The unions complain that easyJet is making too many last minute changes to the schedules of cabin crew staff, and oppose making bonus payments dependent upon customer satisfaction when much of the passenger experience is determined by check-in and luggage handling that is outsourced to other companies. EasyJet's boss in France Francois Bacchetta has said he understands the "frustration" of the cabin staff and added that the company was working on this "very complex" issue. The airline has been able to minimise disruption by bringing in cabin crew from the UK. Eric Cunnac of the Unac union said the airline's use on Friday of British cabin crews on French flights "was a way of breaking the strike". SNPNC-FO representative Laurent Nicolas complained that easyJet had specially flown in replacement cabin crews and had offered them up to €140 to work the French flights. An easyJet spokesman confirmed it had flown in British cabin crew staff who had volunteered to work. Angry over salaries and work schedules, flight attendants of the French branch of low-cost airline EasyJet announced on Friday that they would take strike action on 25 and 26 December. However, as there are no flights scheduled for Christmas day, the walkout will only affect travellers flying on 26 December. Aviation workers are legally obliged to announce strike action 48 hours in advance, so EasyJet said it would know the extent of cancellations on Tuesday. But general director François Bacchetta told AFP agency the company expected "less than half of flights" to be cancelled. "On Monday, we will pre-emptively cancel a certain number of flights in order to transfer passengers, so they can adjust their plans," he said. Workers are upset over schedules that "can change twenty times per month", making "family life totally impossible", said Laurent Nicolas of the SNPNC-FO flight attendants' union. Bacchetta acknowledged the demands of the industry were "complicated" and that he understood the "frustration" of workers. But he was less lenient with protests over salaries, which he said were currently entering annual negotiations. 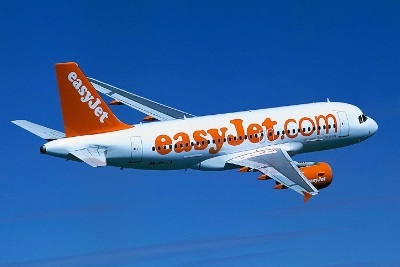 EasyJet employs about 1,000 people in France, including 600 flight attendants. Suggest you check the Easyjet website for more information by clicking here.